We arrived into Narita Airport after our 30 hour journey, but we still had to catch the Narita Express and do battle with Shinjuku – the world’s busiest station, with more than 3.6 million passengers each day. We made our way on the notoriously difficult Tokyo Metro to our Airbnb in the cool neighbourhood of Shimokitazawa (or Shimokita as the locals call it). Heather had come to visit us in Japan and her flight had arrived earlier that day, so she was at the apartment ready to greet us and had even picked up the all-important milk so we could have a cup of Yorkshire tea and a catch up. The next day, we ended up back at Shinjuku and in some hellish nightmare spent nearly an hour trying to buy metro tickets. We kept getting lost and couldn’t find the exit. I don’t think everyone’s jet lag helped, but the problem with the Tokyo Metro is that not all lines are owned by the same operator – which more often than not is Japan Rail (JR). If you have to transfer lines, and it’s owned by a different operator, it involves a search for a line specific ticket machine, or a “transfer machine” which lets you exchange one size of ticket stub for another. You can buy a Pasmo Card which can be used on a number of different lines and gives you a discount on transfer tickets – something we only found out about a few days in! Tokyo Metro stations are a bit like mini towns; you never have to leave. We got a bit distracted by all the plastic food for sale (we were to learn how important this could be for pointing purposes when ordering food). We finally got out of the station and, after a visit to a French patisserie (thousands of these in Japan – collect a tray and fill it with pastries and breads) for a much-needed coffee, we found the Meiji Shrine. 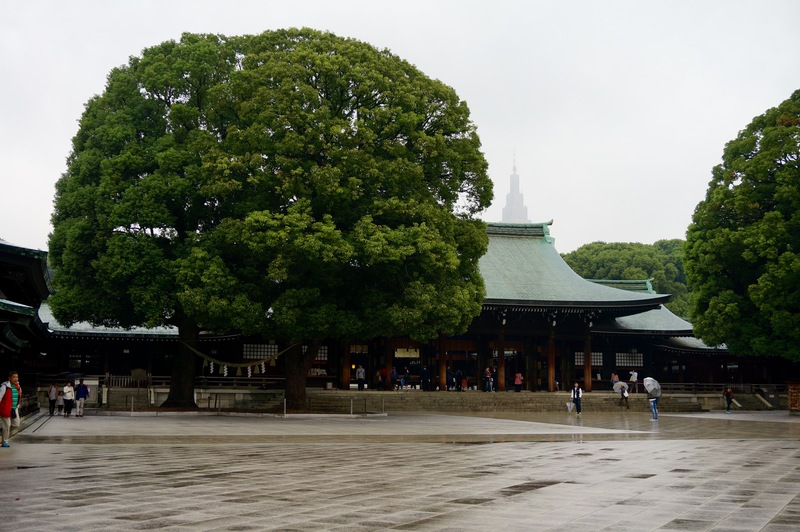 Dedicated to the late 19th century Emperor Meiji and his wife, who opened Japan up to the outside world, the Meiji Shrine is much more austere compared to some of the more decorative Shinto temples in Japan. 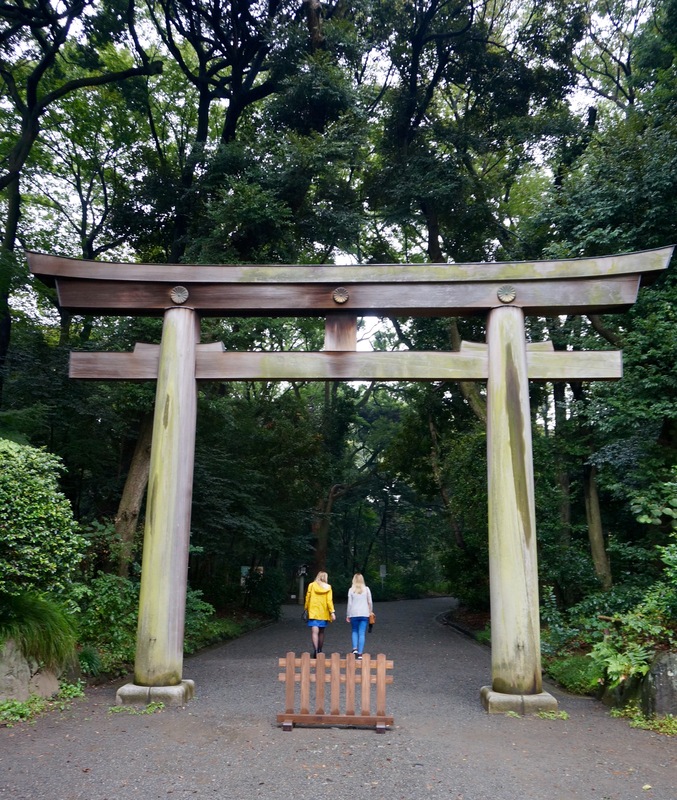 It’s surrounded by forest and boasts the biggest cypress Torii Gate in Japan. It’s an oasis of calm in this crazy city. 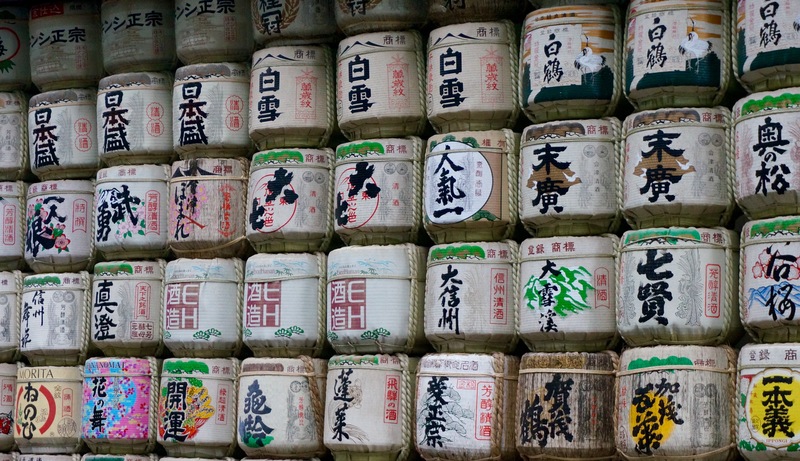 The entrance is lined with barrels of sake donated to the shrine. There were helpful signs explaining what to do. There are water fountains and small cups to wash your hands with before you enter the sacred space. At the main shrine, toss some Yen into the offertory box, bow your head twice, clap twice, and bow again. 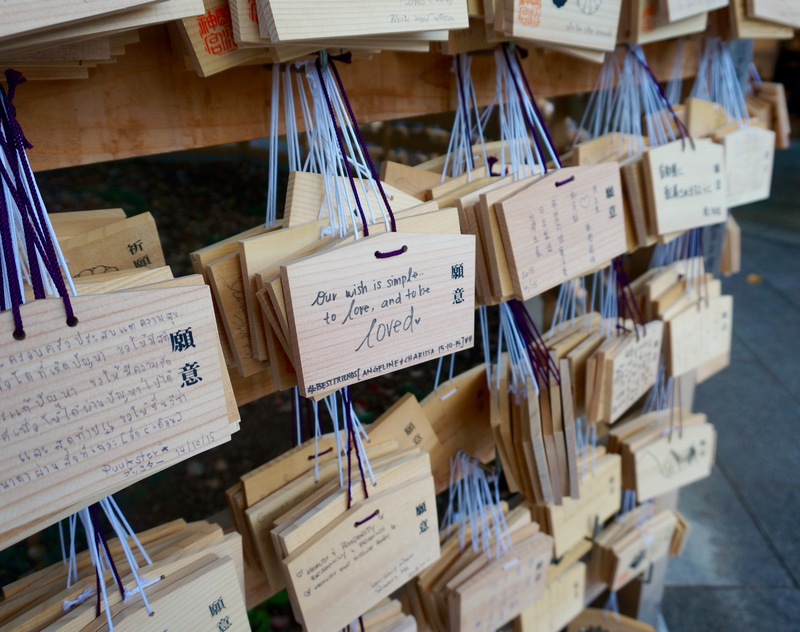 Prayers are left outside the temple, on wooden plaques, by visitors from all over the world. Those I could read in English, and in broken French and Spanish, wished for the same things we all wish for: happiness, love, family, health. 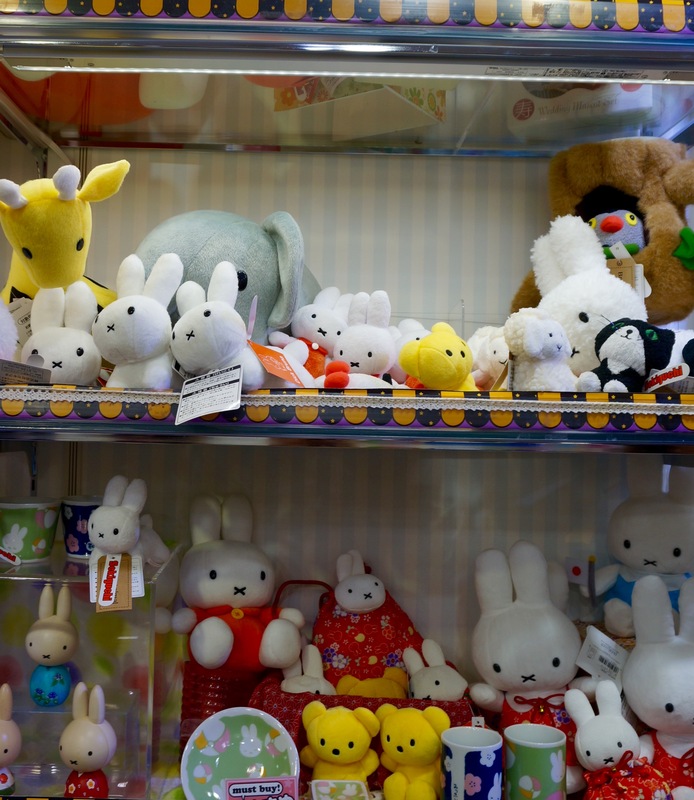 The Harajuku area is a short walk from the Meiji Shrine and it gave us our first taste of the stereotypical craziness of Japan: anime, Hello Kitty, sushi keyrings, vintage shops with rows and rows of silk kimonos, Barbie shops, and fluffy rucksacks. 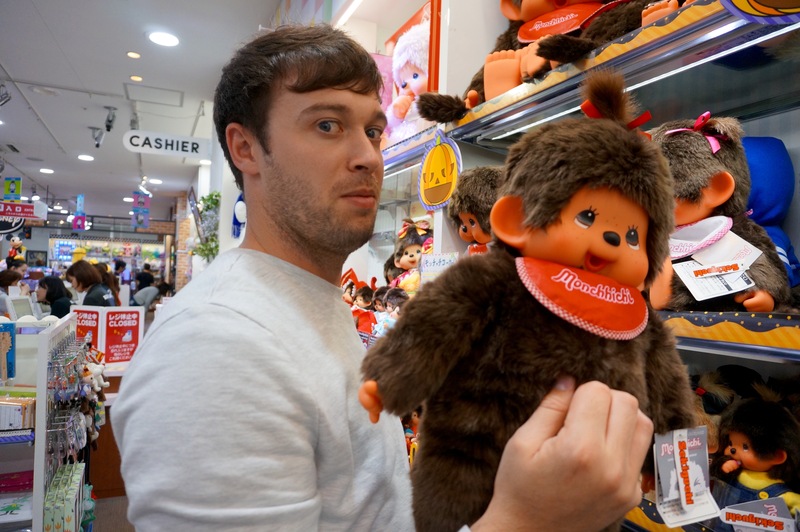 After a quick stop for some udon noodles and tempura (and our first Asahi) we went to Kiddyland – well worth a visit. Four floors of crazy: Disney, Hello Kitty, Pokemon, strangely enough one floor of Snoopy merchandise, and hundreds of other Japanese cartoons we’d never heard of. 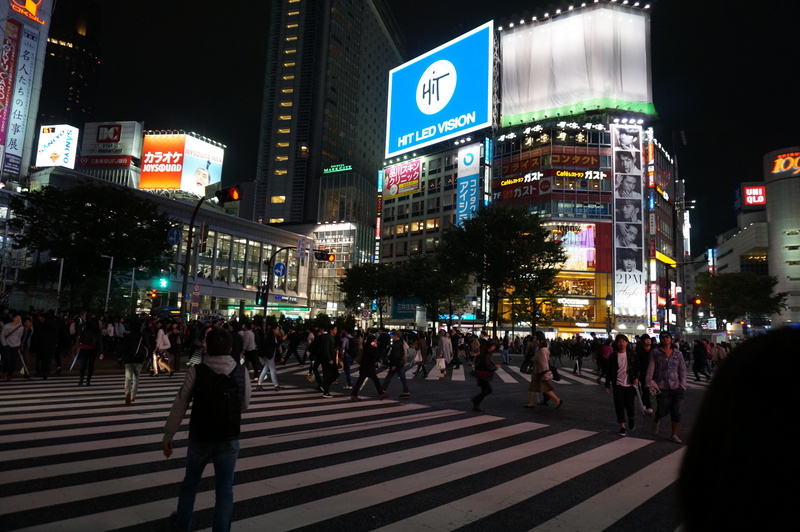 When you think of Tokyo’s busyness and bright lights, you’re probably thinking of Shibuya. We went to check out the series of famous zebra crossings and the millions of commuters who pass through the station each day. When you’re at ground level, it’s hard to appreciate just how vast the Tokyo metropolitan area is. A visit to Rappongi Hills and the observation tower offers an amazing view of the urban sprawl; even better at nightfall, when all the skyscrapers are lit up. Tokyo even has a fake Eiffel Tower. Inside, you can sit and take in the view with a coffee or cocktail, or look through a book on Tokyo in the reading room. 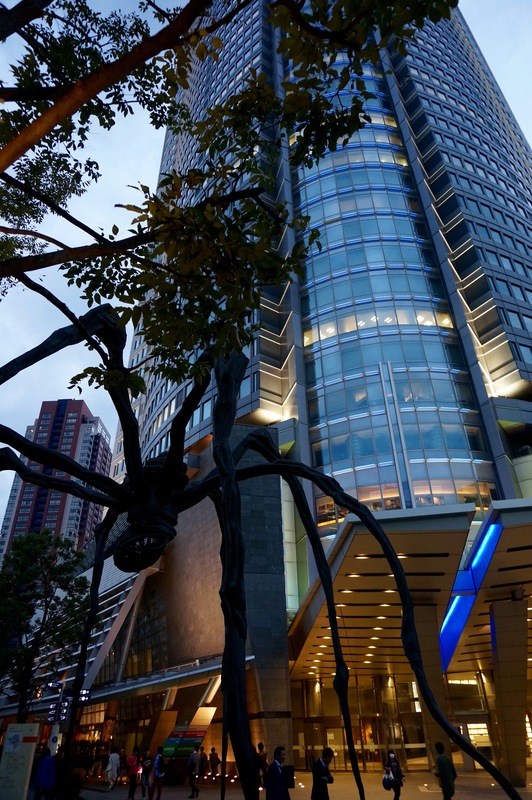 Rappongi also has the famous Maman spider sculpture by Louise Bourgeois. We got up early the next morning and trekked over to Hamacho Sumo stable to see some training, as the tournament season had finished. Our luck was out; the sumos were resting, not wrestling, and we only managed to catch a glimpse of them through the window. 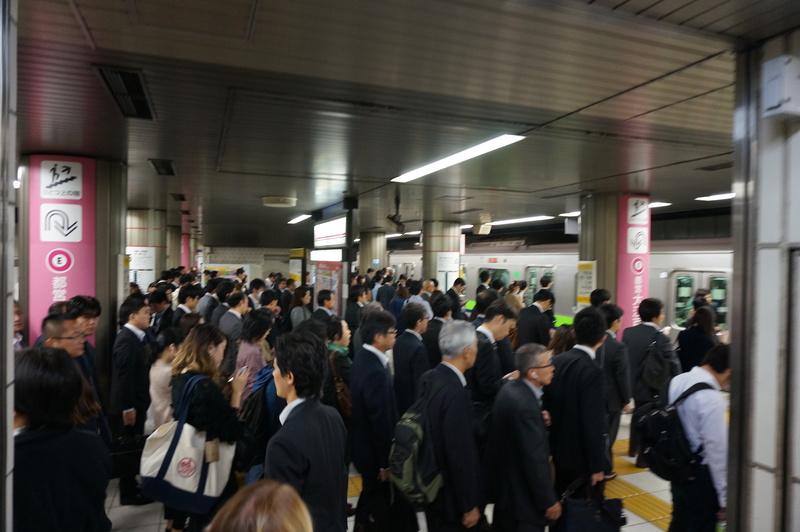 The early start meant that we got to experience one of the more uncomfortable Tokyo traditions – rush hour on the Metro. Everyone queues in a very neat and orderly way, following the painted lines on the platform. But it doesn’t make it any less crowded. We let three trains go by before we managed to squeeze our way on, and spent the journey with our faces squished against the door, literally. The London Underground at 8am is luxurious in comparison! 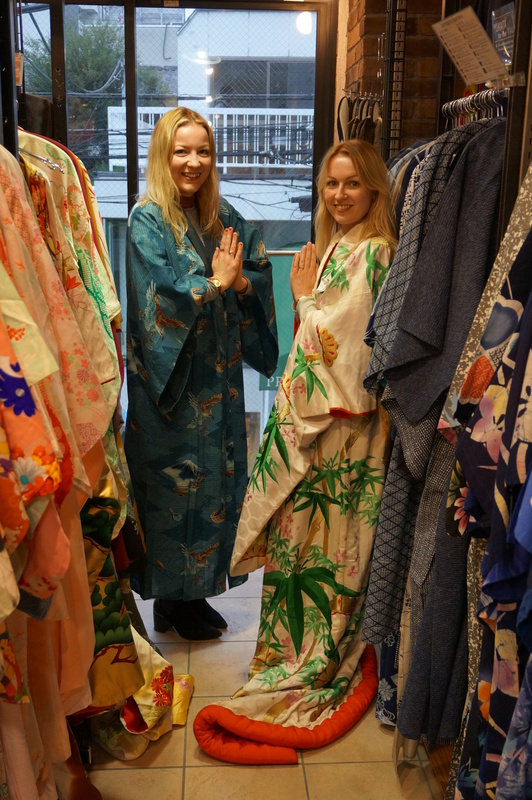 One of Phil’s friends had advised us to visit the Akihabara district – otherwise known as Electric City – to see all the discounted electrical shops, anime, and quirky Japanese fancy dress. If you are after discounted cameras, computers and iPhones, remember your passport to take advantage of the tax-free shopping available to tourists. 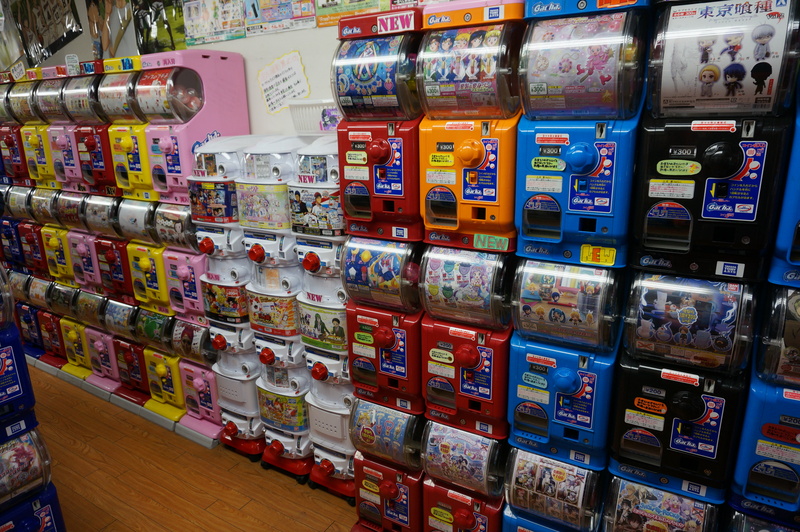 Akihabara is the sort of place you go to visit for a quick look and end up spending hours there in amazement at the weird and wonderful sights – like whole shops filled with lucky dip machines. 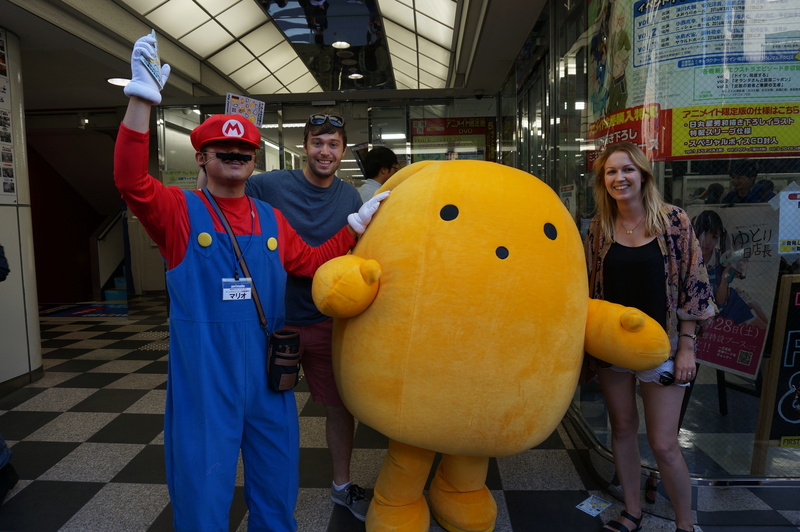 Or Super Mario and Japanese cartoon characters wanting to pose with you for a photo. 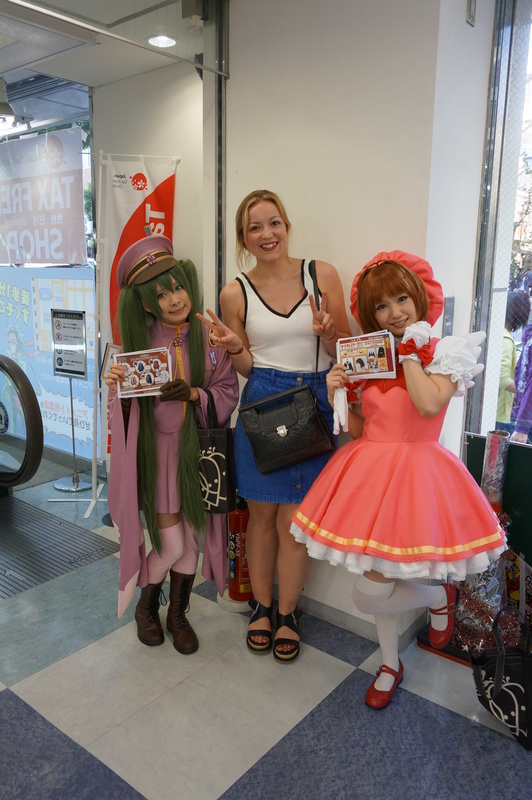 Or shop assistants dressed as anime characters. 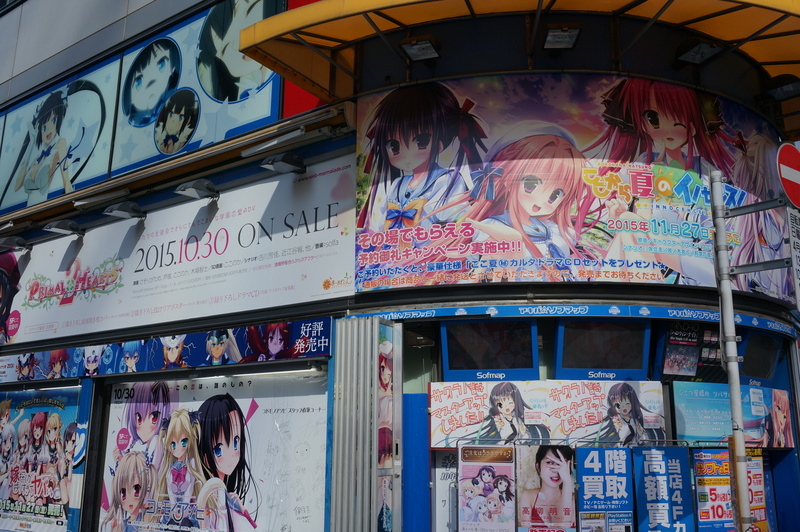 Akihabara is a very memorable way to spend an afternoon in Tokyo. 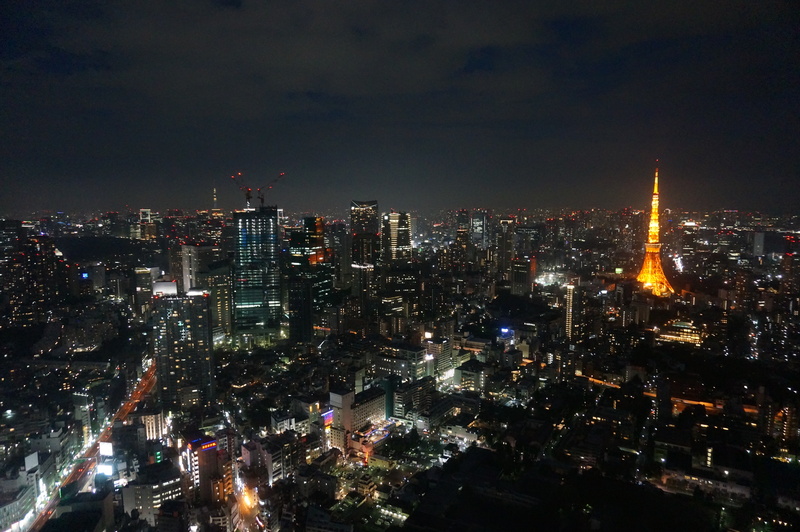 Next posts: Tokyo nights and Time out in Tokyo: green spaces to relax. It was organised chaos! Orderly queues, but you had to push to get on a train before the doors closed. Definitely an experience.